After a long six-months or so, in case you haven’t heard, Boracay is back! 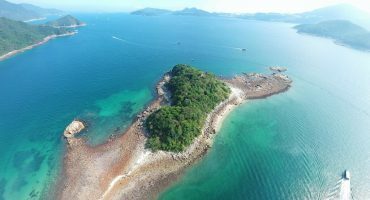 The famed island in the Philippines – only a one-hour flight from Manila – was put on shutdown by the government for an environmental clean up. With new rules in place on the white-sanded island, it’s apparent that the shutdown was the correct decision because Boracay looks better than ever. Although Boracay now has more limitations on the back of being out of action, there is still plenty to experience on this tiny island. With the Philippines made up of over 7,000 islands, there is no shortage of paradise here. If you’re looking for an island that’s now well proven as a travel destination and undeniably the #1 travel destination in the Philippines, look no further. 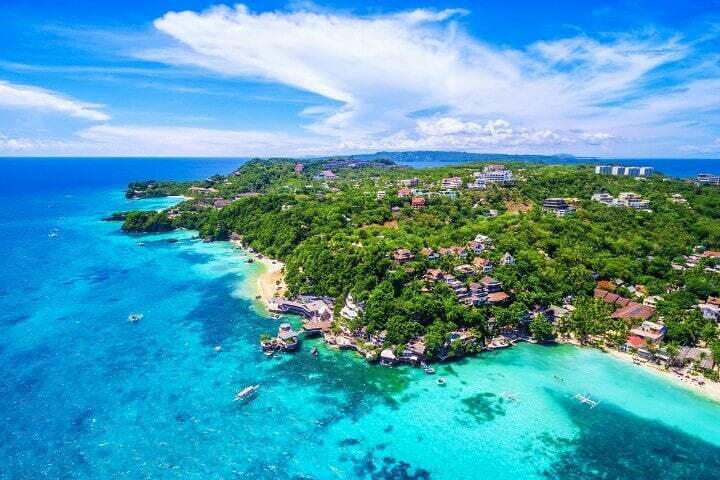 Winning numerous travel awards over recent years, Boracay is back and still the major go-to island. With it’s white sand beaches backed up by a strip of restaurant, bars, shopping malls and hotels, Boracay is a still a step ahead of its island competitors in the Southeast Asia region on all fronts. 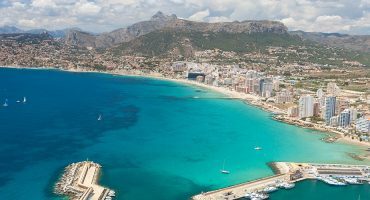 Only 19,000 tourists will be allowed on the island. 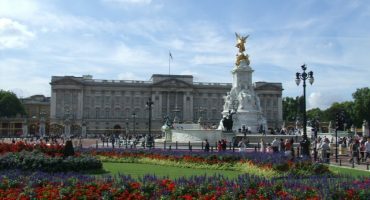 There will be 10,000 rooms available – reduced from 12,000 previously. Hotel and hostel reservations required prior to entering the island. 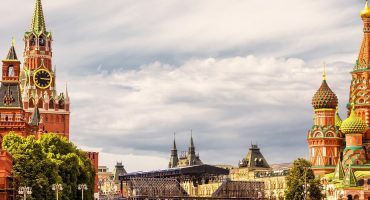 Some activities and indulgences on the beach will be prohibited such as drinking, smoking, dining, diving and fire dancing. ‘Laboracay’ – the annual Labour Day party has been banned. Souvenir shops and hawkers along the beachfront have been banned. Casinos on the island are banned. Firework displays will only run until 9pm. Boracay is getting it Right! With 2018 been the year that over-tourism is actually a worldwide thing, Boracay have taken the first approach to cleaning up its act, quite literally. The rehab of Boracay and new rules in place are to protect the islands future. Other islands across Southeast Asia have followed, with Maya Bay in Thailand closed indefinitely. Basically, it doesn’t matter how you like to party or the freedom you want to seek, we have a responsibility to look after our planet. Boracay is an example of environmental damage. Clean up after yourself, don’t litter (you will get instantly fined in Boracay) and most of all, travel responsibly in every sense. ✈️ Search flights to Boracay! Whether you’re a budget traveller or on holiday, Boracay is catered for everyone. You can stay in vibrant hostels such as Frendz Resort & Hostel to meet fellow travellers – the best on the island – or stay in swanky hotels. 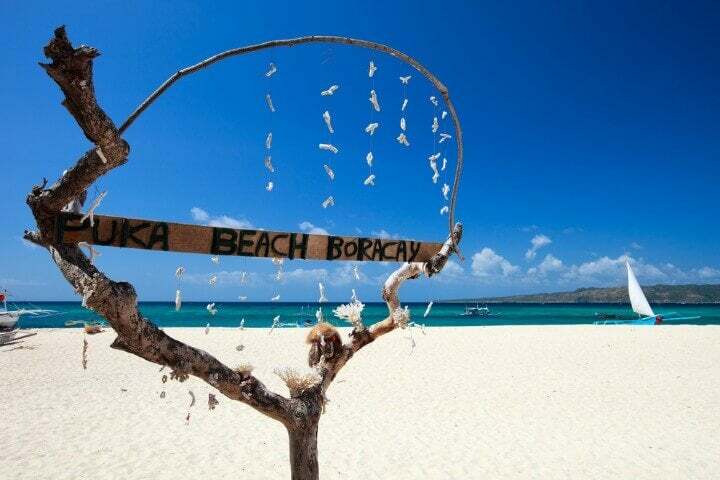 As far as price goes, you don’t need to spend much to enjoy the natural attractions in Boracay. Swim, where allowed, in its turquoise-clad waters, sunbath on the beach and explore the island. Then again, if you want to splurge with shopping and fancy nights out, this is also possible. After the environmental rehab, White Beach – the main beachfront on the island – looks as pristine as ever. 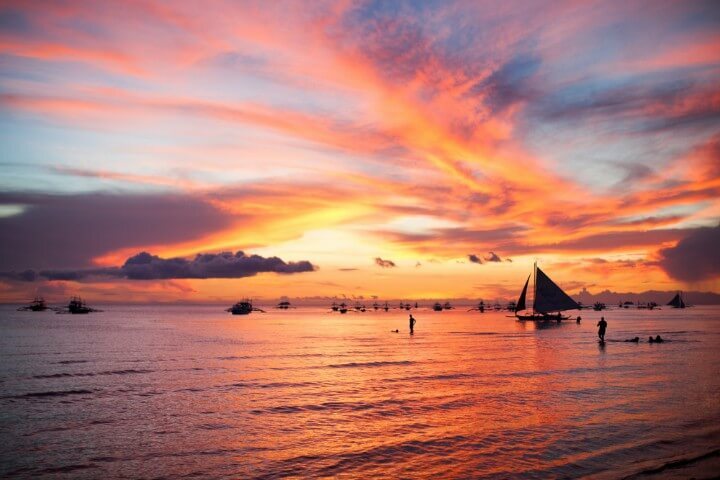 If you’re a beach bum and just want to appreciate the glowing surroundings, Boracay doesn’t fail to deliver. 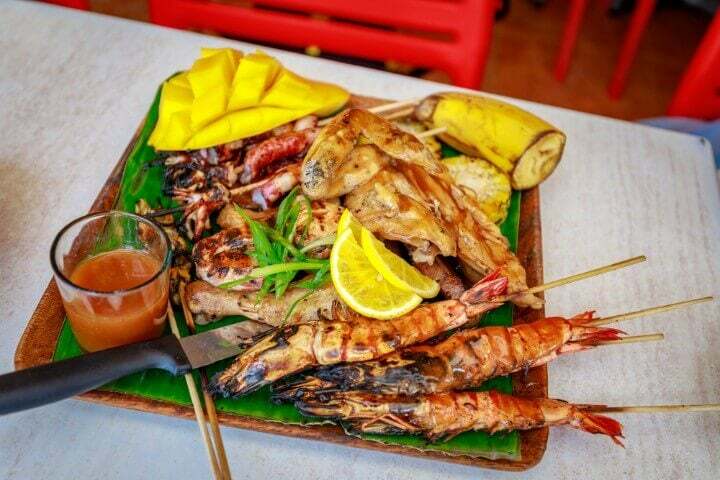 From local options like Smoke Restro or international brands like Shakeys Pizza, one thing Boracay gets right in comparison to other Southeast Asian islands is the food. The quality is high and varies, with fresh seafood, local delights and international cuisine on offer throughout the main ‘Stations’ on the island. Recently, Boracay has opened up watersport activities in stages. You can now scuba dive, snorkel, Jet-ski, parasail, paddle board and windsurf. These have been historically some of the biggest activities available for visitors in Boracay. 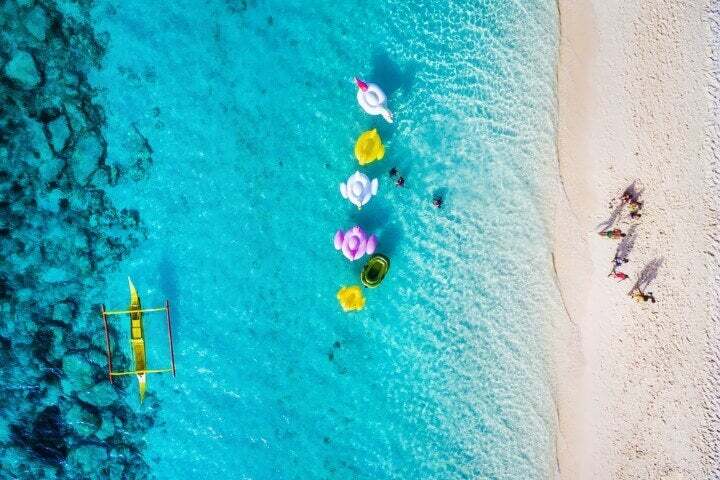 Dive down into the clear waters of Boracay to re-discover marine life and shipwrecks find Nemo just below the surface by snorkelling or paddle yourself across the pool of paradise. Everyone gets in the water in Boracay, it’s too tempting not too! ✈️ Take me to Boracay! Sprouting from island to island is now an activity that is back in action. If you’re looking for a change of vibe, then book a trip to the nearby islands. Spend the day in the dazzling sun visiting some of the quieter neighbours, such as Puka Shell Beach, Lapus-Lapus beach and Crocodile Island. Probably Boracay’s least known ‘thing to do’ you can actually go hiking. 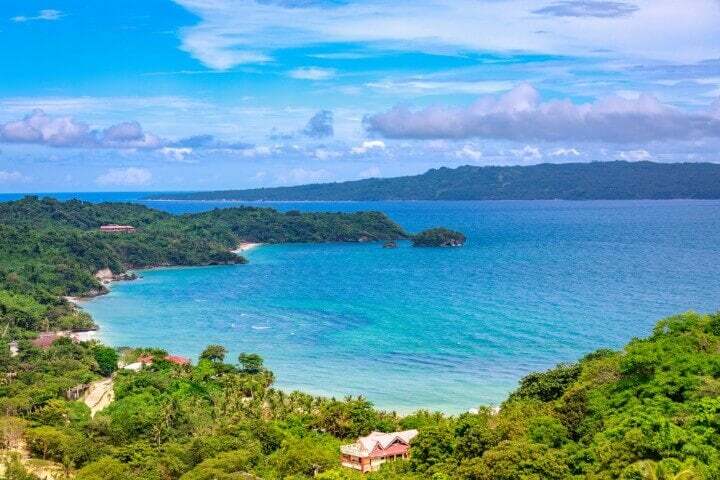 With the island only the size of 10km square kilometres, Boracay still has a highest point. Venture to Mount Luho for stunning panoramic views of the island. You can take a beach tricycle, rent a mountain bike or simply walk. If you’re going on two feet it shouldn’t take you more than an hour from Station 3. 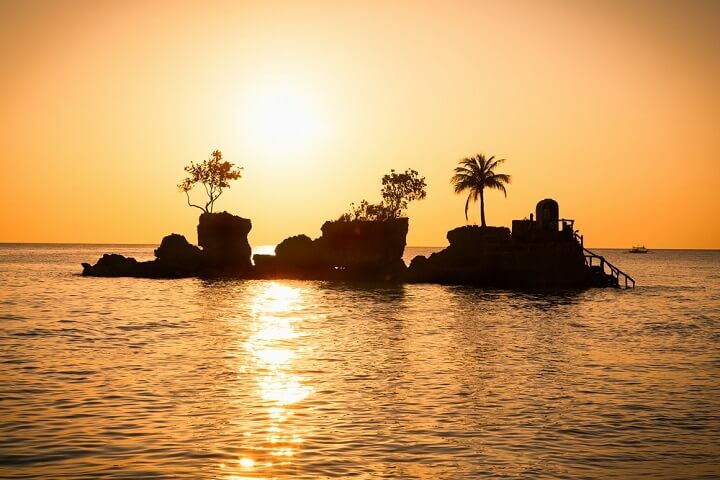 There’s nothing quite like a sunset on a tiny island, especially one in the Western Visayas. Although, you can’t eat or drink on the beach now for environmental reasons, the sunsets here are Southeast famous!